Nova’s Smooth FM drive show with Byron Webb has been crowned as the most popular Melbourne FM drive radio station for the sixth radio survey of the year, jumping 1.9 points from an 8.9% share to 10.8%. Smooth FM’s win in the drive battle has seen Fox FM’s popular duo Hamish and Andy fall to second place, despite improving 0.4 points from survey five’s 10.3% to this survey’s 10.7%. Nova’s Kate Ritchie, Tim Blackwell and Marty Sheargold lost their second place title in the drive battle as they dropped 0.5 points from the last survey to 9.6%. Nova’s drive program was the only FM radio station to lose points in survey six. Maintaing its fourth place was Gold 104 as Gavin Miller jumped 0.4 points from its previous 7.8% to 8.3%. Meanwhile, Kiis FM’s Dave Hughes and Kate Langbroek managed a 7.2% audience share, beating Triple M’s The Rush Hour with JB & Billy’s 6.7% share. In the AM battle 3AW once again maintained a strong lead in the drive segement with a 12.8% audience share improving 0.4 points. ABC Melbourne was second in the AM drive battle managing an 8.3% share. Despite losing in the drive segment, Fox FM managed a win in the breakfast battle with Fifi, Dave, Fev and Byron jumping 1.1 points from survey five’s 7.9% to this survey six’s 9% share. Smooth FM managed to finish in second place as Jennifer Hansen and Mike Perso pulled in an audience share of 7.8%, beating Gold 1.04’s Stanley and Anthony “Lehmo” Lehmann’s 7.7% share. Fourth place in the breakfast segment was awarded to Triple M as it saw a decline of 0.5 points to 7.1%. Nova’s Chrissie Swan, Sam Pang, Jonathan Brown fell from its second place title to fifth place as it dropped a whole point to 6.8%. Coming in last for the FM stations was Kiis FM’s Matt Tilley and Meshel Laurie with a 6.1% share. Again in the AM battle 3AW managed a whopping 21.6% from last surveys 20.5% share. 3AW was the most listened to breakfast program across all of the AM and FM stations with ABC Melbourne being the second most listened to show with a 11.5% share, even though it fell 0.4 points. Winning the title of the most-listened-to FM radio station overall for the second survey in a row was Smooth FM, which saw a share of 10.5% after improving 1 point from last survey. Fox FM, which previously came in third, managed to tie with Gold 104 for second place with both stations seeing a 9.3% share. Both stations saw an improvement with Fox FM jumping 0.5 points compared to Gold’s 0.2 point increase. Falling 1.1 points to fourth place was Nova finishing with a 6.9% share for survey six. Kiis FM managed to overtake Triple M with its 6.2% share compared to Triple M’s 6.1%. For the AM stations, again 3AW was the most-listened-to station overall obtaining a huge 16.2% audience share from last survey’s 14.8%. ABC Melbourne fell 0.2 points to 9.7% beating SEN’s 3.8%, 3RN’s 2.3%, ABCFM’s 1.9% and ABC NEWS’ 1.5% share. Not very good trade press considering your first line is wrong and contradicts another sentence. Smooth is not #1 in Drive across commercial stations, 3AW is. Smooth is number #1 across the FM stations. Where you do recognise 3AW as having the lead you mention they won the AM battle, it’s a survey result in which all stations are in a ‘battle’. Normally you do a very good job at putting AM on the side and mentioning FM obscurely when you start to crown #1s, but this time you seemed to have missed that! We’ve fixed the story to clarify Smooth is currently the leading FM station and 3AW tops the commercials. Thanks for pointing that out. Paragraph 16 is still wrong. Smooth is not the most listened to commercial station overall. That would be 3AW. Talking Lifestyle 1278 has been a stellar success by the look of it. Honestly, can’t remember any station ever getting less than 1 % ! Perhaps, the decision to turf Magic was a touch premature. Probably too late now, as the audience has, presumably, long since taken off to Golden Days and Smooth. 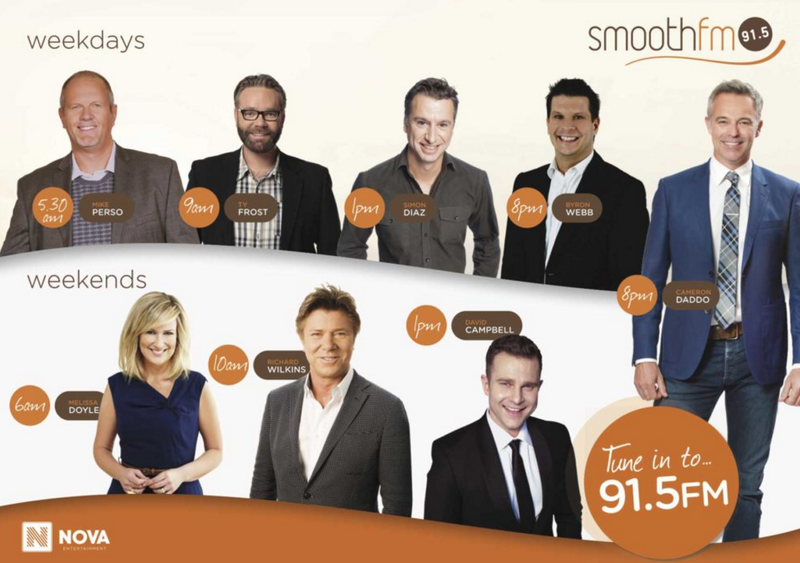 The improved ratings for Smooth FM Melbourne is due to the demise of Magic 1278. Like Smooth but still miss Magic. The new 774 line up just won’ t work. The only time I will listen is between 7.45am and 11am. Rachel Hunt’s language in the past has been a disgrace.